Martin is Chairman at Dudutech and has been Chief Executive Officer at Dudutech's parent company Flamingo Horticulture since 2015. Martin brings over three decades of director level experience to the Dudutech board. Richard’s role of Chief Financial Officers at Flamingo and his many years of experience at Diageo, Glanbia and Premier Foods provides Dudutech with over 26 years of multinational financial experience. Olivia joined Flamingo in 2017 taking charge of farming activity in Kenya and South Africa and non-UK business, including Omniflora and Dudutech. 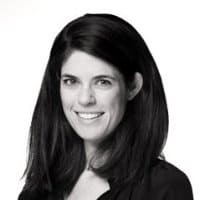 Her extensive background experience in marketing and strategy, as well as degrees from Princeton and The Wharton School, deliver valuable skills to the overall management of Dudutech. Thomas is Managing Director of Dudutech. Thomas was previously with Pfizer Inc and later Zoetis after the Pfizer Agricultural business was listed in 2013. Thomas joined Dudutech in 2014 following a series B investment by Finlays and Swire. He studied at University of Cape Town, and was selected for the Stanford University Graduate School of Business SEED Endowment Scholarship for 2017, as well as the INSEAD Global Executive MBA programme for 2018/19. 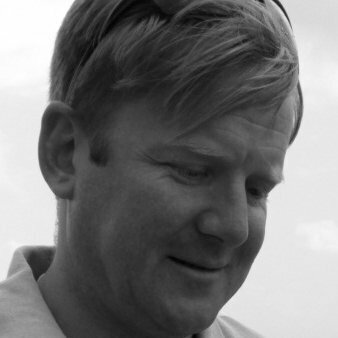 Ian started his career in agriculture as specialist agronomist in UK after graduating from Harper Adams Agricultural College in 1995. In 1998 he joined Homegrown Kenya ltd as the Principal Agronomist Flowers and Vegetables and help initiate the concept of Dudutech in 1999. In 2002 he returned to UK and set up the global produce procurement supply chain for Flamingo UK Ltd. In 2007 he was promoted as Technical Director and later in 2012 he was promoted to Managing Director. Now after 19 years with the Group he is now Managing Director Produce, Group Technical , Agriculture and Procurement director for the Flamingo Horticulture Group. Barnaba holds a Bachelors of Science Degree, Horticulture from Jomo Kenyatta University of Agriculture and Technology, JKUAT. 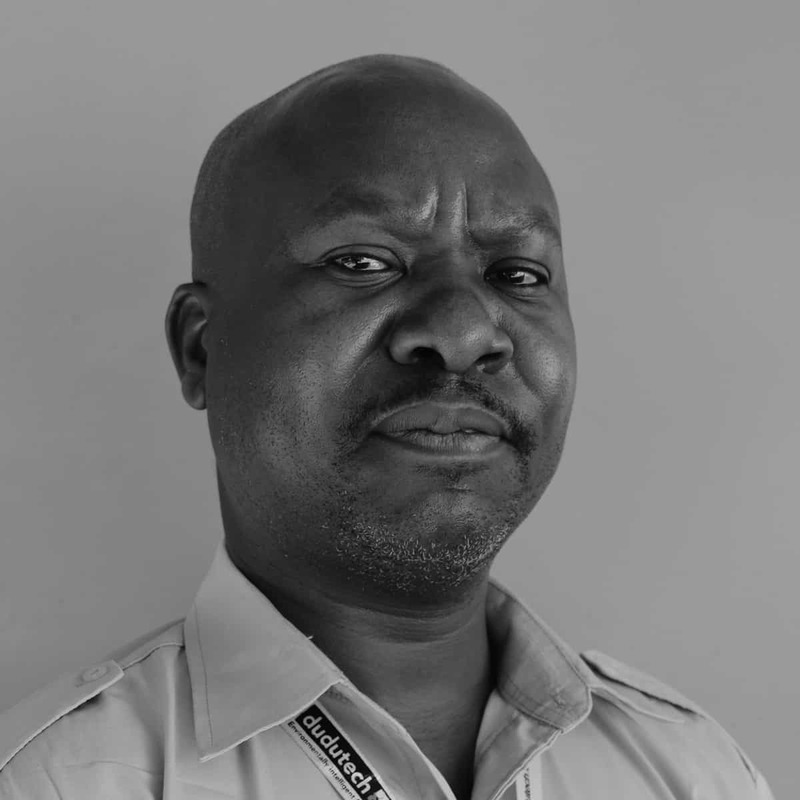 Barnaba has served Dudutech for over 15 years and is now responsible for our commercial operations in Africa, as well as our international distributors based in Europe and North America. Peter holds a Bachelor of Arts in Economics from the University of Nairobi and is a UK Chartered Accountant (ACA) and a Certified Public Accountant of Kenya (CPA-K). 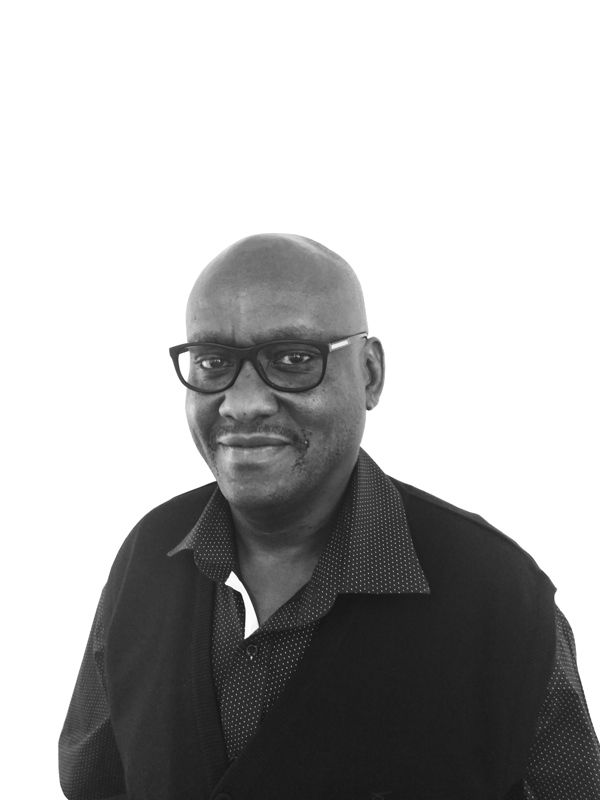 He has extensive local and international experience working in the UK, Kenya, Uganda and Tanzania with PwC, Ernst & Young, British American Tobacco and OffGrid Electric Tanzania Ltd. Peter joined Dudutech in December 2018 and is in charge of the finance function. 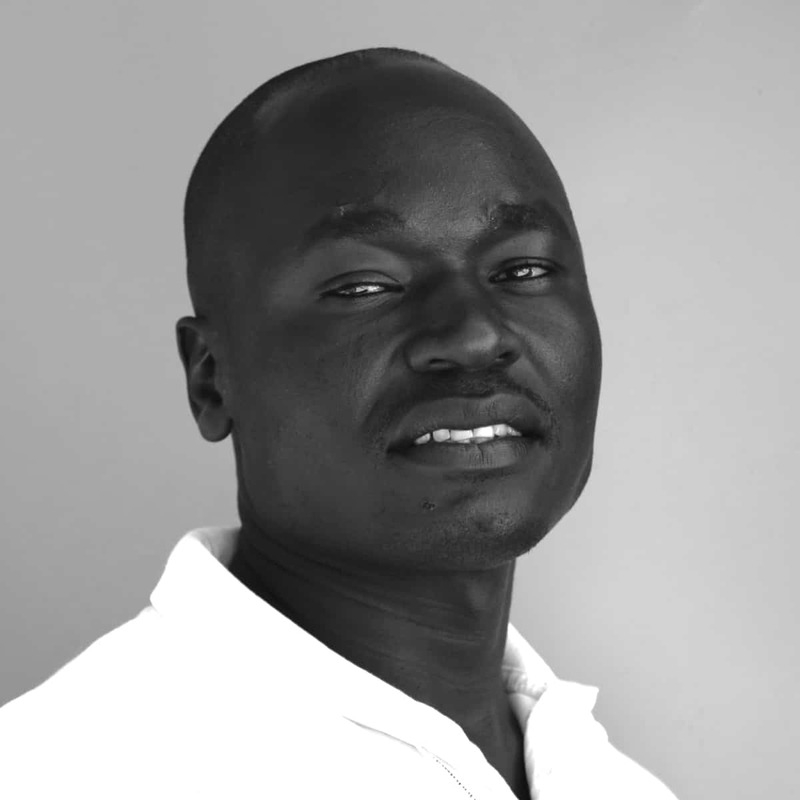 Jack holds a Bachelor of Technology, Applied Biology from the Technical University of Kenya. Jack has been with Dudutech since 2001 and is responsible for the technical management of production and research processes and personnel. Xavier, holds a Bachelor’s of Science Degree, Horticulture from Egerton University. Xavier is responsible for our Microbiological or natural enemies’ production. This encompasses Ladybird Farm, as well as three other production sites, that include both indoor and outdoor insectaries. Dr Vitalis Wekesa completed his Doctorate in Entomology (Invertebrate Pathology) from Universidade de São Paulo and went to complete a Post Doctorate in Entomology and Pest Management from the University of Florida. 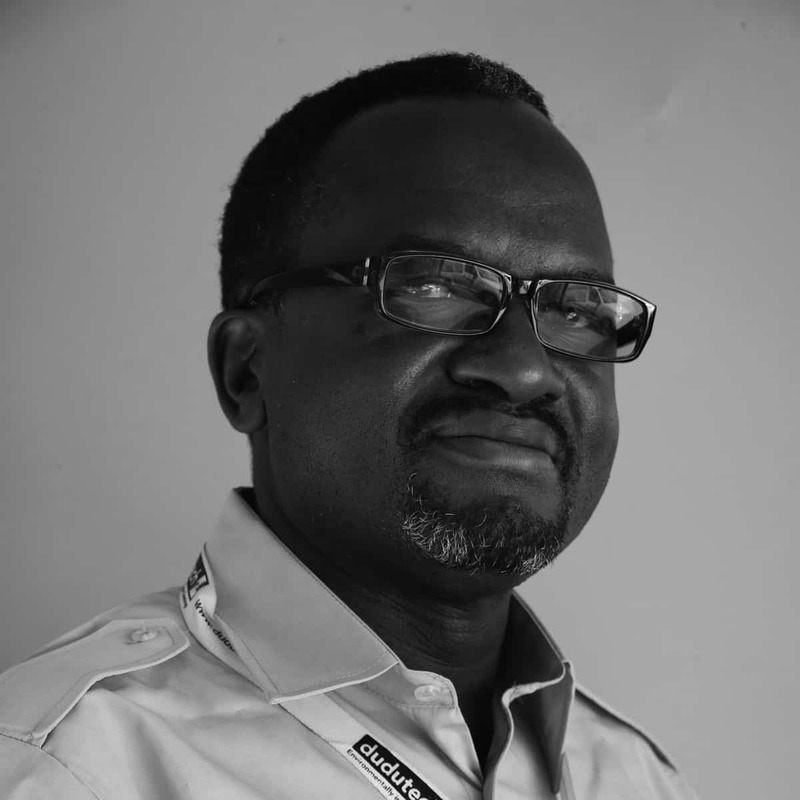 Dr Wekesa is responsible for our Microbial Business Unit which produces our range of entomopathogenic fungi (EPFs), nematophagous fungi (NPFs) and entomopathogenic nematodes (EPNs). Catherine holds a Masters of Science in Agricultural Entomology, Bachelor of Science in Agriculture. Catherine is responsible for our sales force and team of technical support staff. Catherine joined Dudutech at its inception in 2001. Emily holds a Masters of Science, Applied Environmental Microbiology from the University of Botswana. Emily joined Dudutech in 2001 and is responsible for key international accounts. Guytan holds a Masters of Science in Technology of Crop Protection from University of Reading – UK. Guytan joined Dudutech in 2006 to head up the Regulatory Department and further developed Dudutech as a Research and Development site accredited by the Kenya Government. In addition to the regulatory function, Guytan also runs Dudutech's contract research arm. John completed his Masters in Phil, Entomology from the University of Ghana. In 2005 he joined Dudutech as an Entomologist and proceeded to develop the training business unit of Dudutech. Sun Capital Partners is a global private equity firm which identifies companies’ untapped potential and leverages its deep operational and financial resources to transform results. Sun Capital is a trusted partner that is recognized for its investment and operational experience, including particular expertise in the consumer products and services, food and beverage, industrial, packaging, chemicals, building products, automotive, restaurant and retail sectors. 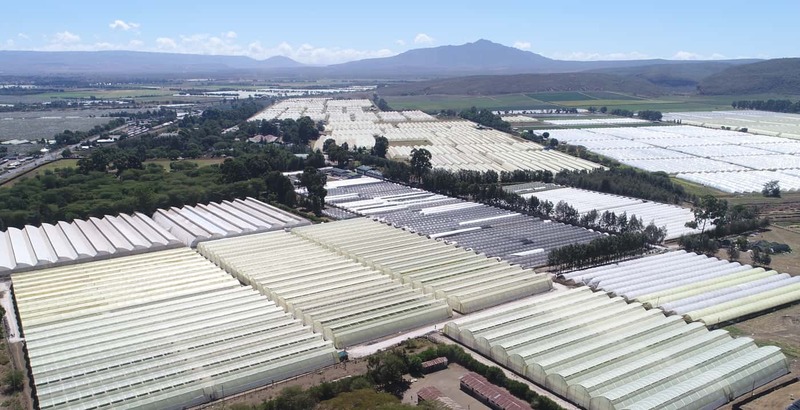 Flamingo Horticulture is a world-class, global, vertically integrated horticultural business. The Group is a core supplier to most of the leading UK multiple retailers, as well as internationally to customers in Europe, South Africa, the Middle East, Japan and Australia. We are the largest added-value producer and exporter of flowers, delivering over 750m stems per annum. The Group’s supply chain model is balanced between its own large-scale professional farms operating in Kenya and South Africa, combined with long-term sourcing partnerships with a global network of vertically integrated third party suppliers and out growers to offer our customers the highest quality product range and consistent year-round supply.